First edition ("Deutsche Erstausgabe" is stated on the title page and on the back). Copyrights are assigned for various years to Davis Publications, Inc. and Matthias Weigold. The copyright of the translations is assigned for the year 1990 to the publisher. "Printed in Germany 1990" is stated on the copyright page. 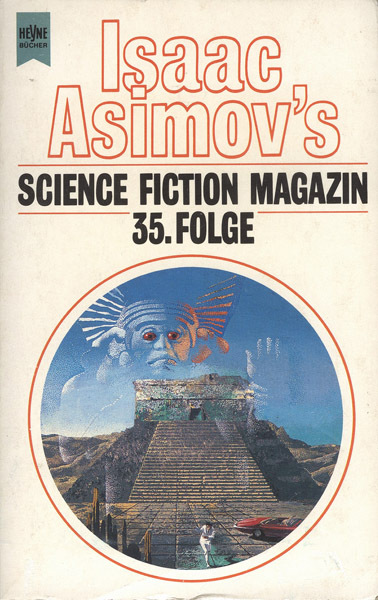 Month of publication from Science Fiction Media #74 (July 1990). Editor on behalf of Heyne: Irene Bonhorst. In the table of contents, Suzy McKee Charnas is misspelled as Charnass, but is correct on the story's title page. In the table of contents, Frederik Pohl is misspelled as Frederic, but is correct on the story's title page. On p.  is a biographical sketch for Matthias Weigold.